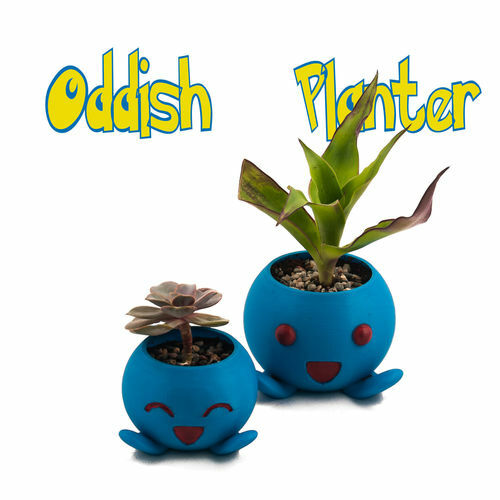 This 3D printed Oddish planter is the perfect gift and desk companion! An awesome planter for a Pokémon fan! There is 2 type of planter, difference is eyes. And each one have drain hole and no hole version.